In this paper, we tackle the problem of segmenting out a sequence of actions from videos. The videos contain background and actions which are usually composed of ordered sub-actions. We refer the sub-actions and the background as semantic units. Considering the possible overlap between two adjacent semantic units, we propose a bidirectional sliding window method to generate the label distributions for various segments in the video. The label distribution covers a certain number of semantic unit labels, representing the degree to which each label describes the video segment. The mapping from a video segment to its label distribution is then learned by a Label Distribution Learning (LDL) algorithm. Based on the LDL model, a soft video parsing method with segmental regular grammars is proposed to construct a tree structure for the video. Each leaf of the tree stands for a video clip of background or sub-action. 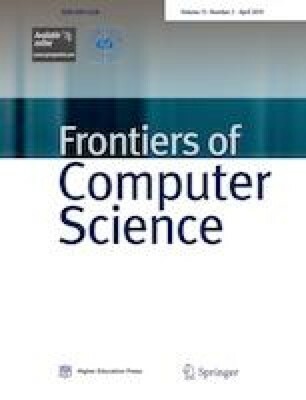 The proposed method shows promising results on the THUMOS’14, MSR-II and UCF101 datasets and its computational complexity is much less than the compared state-of-the-art video parsing method. Miaogen Ling received the BS degree in mathematical science from the Soochow University, China in 2010, and the MS degree in computer science from the Southeast University, Nanjing China in 2013. He is currently pursuing the PhD degree with the department of Computer Science and Engineering, Southeast University, China. His research interest include machine learning and its application to computer vision and multimedia analysis. Xin Geng received the BS and MS degrees in computer science from Nanjing University, China in 2001 and 2004, respectively, and the PhD degree from Deakin University, Australia in 2008. He joined the School of Computer Science and Engineering at Southeast University, China in 2008, and is currently a professor and vice dean of the school. He has authored over 50 refereed papers, and he holds five patents in these areas. His research interests include pattern recognition, machine learning, and computer vision. Supplementary material is available for this article at https://doi.org/10.1007/s11704-018-8015-y and is accessible for authorized users. This research was supported by the National Key Research & Development Plan of China (2017YFB1002801), the National Science Foundation of China (61622203, 61232007), the Jiangsu Natural Science Funds for Distinguished Young Scholar (BK20140022), the Collaborative Innovation Center of Novel Software Technology and Industrialization, and the Collaborative Innovation Center of Wireless Communications Technology. Supplementary material, approximately 527 KB.